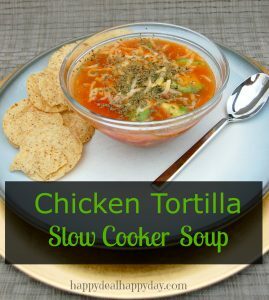 The EASIEST & Best Slow Cooker Chicken Tortilla Soup Recipe | Happy Deal - Happy Day! Mix all ingredients into a slow cooker crock pot. Cook 6 hours on high heat. Top with shredded chedder cheese, sliced avacado, crushed corn chips and a bit of fresh cilantro. 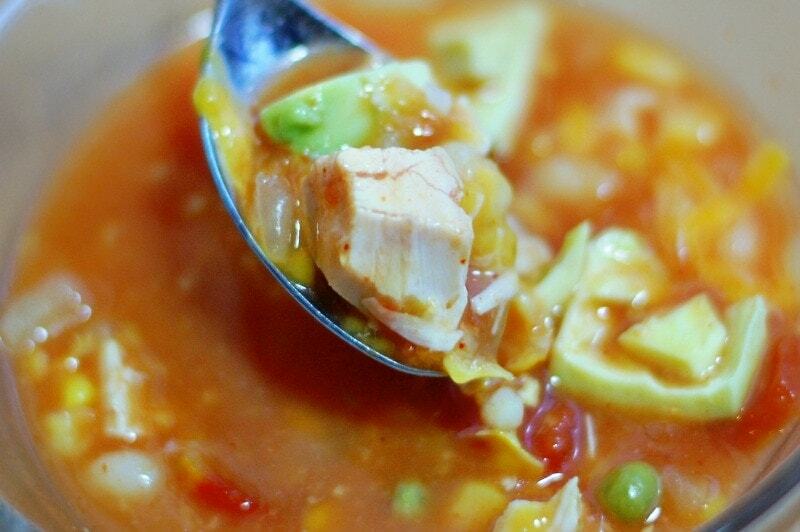 Mix all ingredients into a slow cooker crock pot. Cook 6 hours on high heat. Top with shredded chedder cheese, sliced avacado, crushed corn chips and/or cilantro. This is a new winter favorite at our house! If you try it, come back and let me know what you think! I’m all about recipes that are EASY and taste great! ← Amazon: ALEX Toys Little Hands My Giant Busy Box for $17.65 – Normally $44.50! I’m excited to try new recipes in my slow cooker this Fall. I love how the sweet potatoes collapse a bit into the stew in this recipe. I’m bookmarking. wow that is incredible that a slow cooker is so hard to get there. Next time, let me mail it to you! Hope you get a chance to try this. Thanks for the great recipe, I will try the same. I really liked that dish, will try it surely. Thank you for your work on the blog! You’re doing a good job!